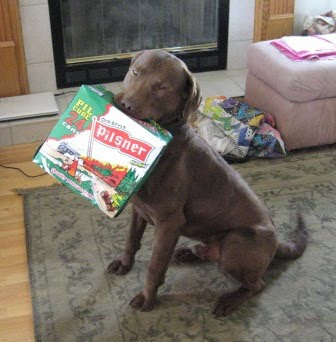 Beer Dog, loves to carry stuff around. I see other bloggers have all kind of photos of their pets. I do up horse reports because I do have friends that want to hear about our horses. They ride or did ride at some point in their lives. 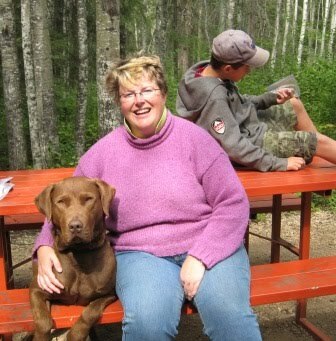 Now for Lex the big brown dog. 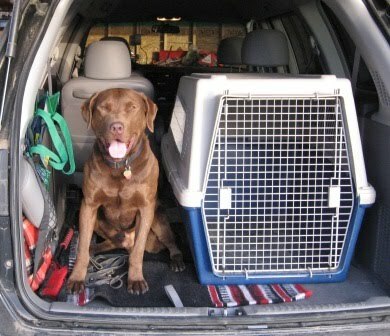 He is a male Chesapeake Bay Retriever and is about 3 and a half now. Today, Thursday is Dog Agility Class. Lex is really enjoying class. It is more fun then the obedience classes we have done. He does seem to enjoy the work of agility better than obedience classes. I have taken him to three obedience classes in the past. So will plan to post more dog photos but not every week. Lex is adorable! The beer photo is awesome.